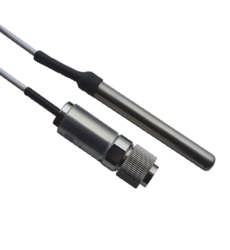 The PB-5019-3M is a stainless steel probe with a 3m flat cable which monitors temperatures from -40°C to +125°C. The flat, flexible cable is designed to pass through a fridge or freezer door seal with minimal effect. The probe is robust and splashproof to withstand defrost cycles and cleaning.